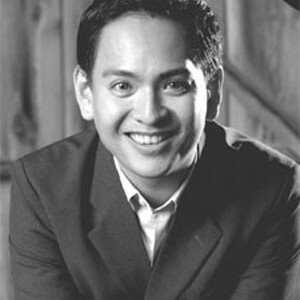 Pianist Victor Santiago Asuncion has performed in recital in Japan, Mexico, Canada and his native Philippines, as well as major venues in the United States, including Carnegie's Weill Recital Hall, Lincoln Center, the 92nd St. Y, Clarice Smith Performing Arts Center in Maryland, the New Jersey Performing Arts Center, Seattle's Benaroya Hall, Spivey Hall in Atlanta and the Aspen Music Festival. As an orchestral piano and harpsichord soloist, he has worked with prominent conductors such as Sergio Esmilla, Harold Farberman, Corrick Brown, Enrique Batiz, Zev Dorman, Arthur Weisberg, Leon Fleisher, Bobby McFerrin, Sidney Harth and James Judd. 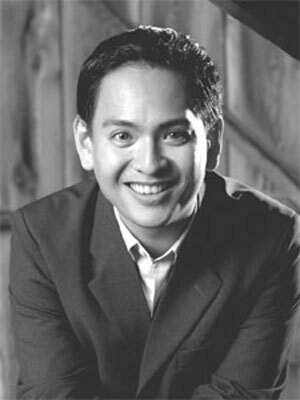 In addition to his frequent collaborations with Lynn Harrell, Mr. Asuncion has worked with violinist Daniel Heifetz, cellists Evelyn Elsing and Evan Drachman, soprano Linda Mabbs, mezzo-soprano Susanne Mentzer, flutist Nadine Asin, hornist John Cerminaro, the Classical Band, members of the Vienna Philharmonic, and the Vega and Emerson String Quartets. Mr. Asuncion is on the chamber music faculty of the Aspen Music Festival and School and also serves as an assistant to Rita Sloan. His performances have been broadcast on NPR's Performance Today as well as other television and radio stations in the U.S., Mexico, Canada, Japan and the Philippines. Mr. Asuncion's recording's can be heard on the Hartt and ERM labels, as well as DEUX, the independent label he founded in 1996. His most recent performances include chamber and solo recital appearances in New York, Seattle, California, Wisconsin, Maryland and the District of Columbia.